This year, broadcaster CBS charged $5.25 million for a 30-second time slot during this year’s Super Bowl. In other words: $175,000 per second1. 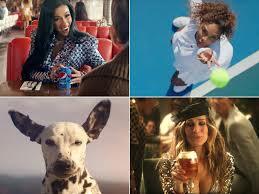 While marvelling at the exorbitant sums spent on half-minute clips of humor, sentimentality, and sometimes downright oddity, I actually believe that there is an important message of wisdom communicated in the ever-increasing inflation of the value of a Super Bowl ad: our time and our attention are precious, even down to the second. French writer Simone Weil once wrote, “the habit of attention is the substance of prayer.”3 It is no wonder then that Father Brisson so emphasized the Direction of Intention as the prayer that encapsulates the wisdom of the Salesian tradition. Whether we recite this prayer through a specific formula or use our own words, we offer each action with the goal of uniting ourselves more closely with God through it, which requires the foresight to be attentive to God’s presence in all its forms, both foreseen and unforeseen. 1	Tom Huddleston Jr., “This is how much it costs to air a commercial during the 2019 Super Bowl,” CNBC, last modified 30 January 2019, https://www.cnbc.com/2019/01/30/how-much-it-costs-to-air-a-commercial-during-super-bowl-liii.html. 2	Louis Brisson, OSFS, “31. We need to get out of the rut!” in The True Understanding of the Congregation According to Fr. Brisson, ed. Roger Balducelli, OSFS (Rome: Oblate Generalate, 1989). 3 Quoted in Joseph Clair, “Our Own Devices,” First Things, 6 December 2016, https://www.firstthings.com/web-exclusives/2016/12/our-own-devices.